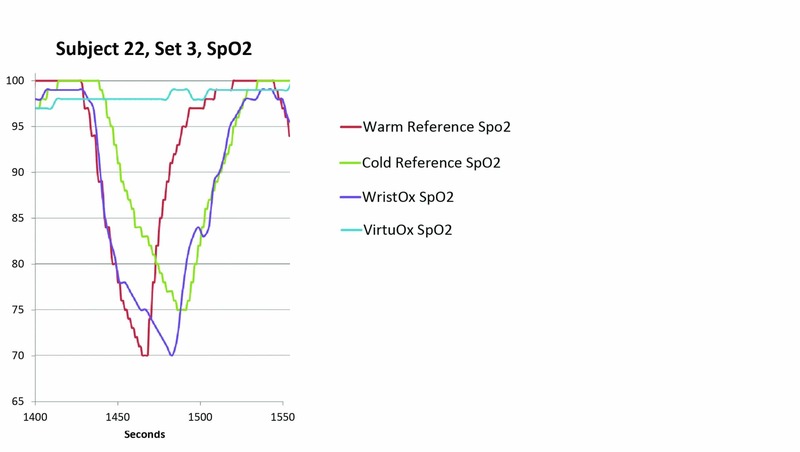 Nonin Medical introduced its first wrist-worn pulse oximeter (WristOx® Model 3100) in 2004. Since that time, Nonin has been an industry leader in this form factor and was the first to integrate Bluetooth® technology into its wrist-worn pulse oximeters. Due to convenience of size and comfort, the company saw rapid adoption of its wrist-worn pulse oximeter in the clinical environment, particularly for continuous monitoring of oxygen saturation and heart rate during overnight studies and ambulatory tests. In the last several years, other wrist-worn pulse oximeters have been introduced under private label by inexpensive import manufacturers. Many of these devices are low cost and available through distributors and Medicare-approved Independent Diagnostic Testing Facilities (IDTF) throughout the United States. If these devices are missing sudden and/or significant oxygen desaturations (see Graph 1, on the following page), the cost to both the patient and the healthcare provider could be profound. Missed desaturation events could result in an incorrect diagnosis, delayed treatment, repeat studies, extended hospital stays or premature discharge, missed home oxygen prescriptions or repeat hospitalizations. Only Nonin Medical provides proven pulse oximetry performance in the widest range of patient conditions and settings. Nonin’s clinically proven PureSAT® pulse oximetry technology uses intelligent pulse-by-pulse filtering to provide precise oximetry measurements—even in the presence of dark skin, motion, low perfusion, shortness of breath and other challenging conditions. PureSAT automatically adjusts to each patient’s condition to provide fast and reliable readings clinicians can act on. 1. P.B. Batchelder, RRT, LRCP: Fingertip Pulse Oximeter Performance in Dyspnea and Low Perfusion During Hypoxic Events. Clinimark Laboratories, Boulder Colorado.